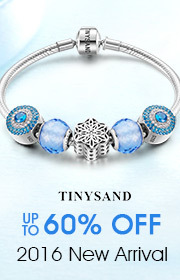 The Jewelry Box online varies in different sizes, shapes and colors. We bet in the process of browsing that many samples, you will have a general knowledge of our Jewelry Box, and lock onto one or two kinds. Our fashion Jewelry Box is featured by its unique design and common application. The Jewelry Box can be used for one or two kinds (necklaces, bracelet, earrings, rings, brooch, and even hair clips). Every kind of jewelry has a very corresponding Jewelry Box to store.